The book has covered most of the countries where Muslims live- the Indian subcontinent, Indonesia, Malaysia, Philippines, China, Central Asia, Eastern Russia, the Balkans, Turkey, the whole of Africa, Spain and even faraway Poland. The Spread of Islam in the World is a chronicle of fundamental importance, and worth possessing. Pro. Thomas W. Arnold was a polyglot, and a scholar of massive erudition. He taught at Aligarh in 1896. Later he moved on to the Government College, Lahore, where he taught philosophy, one of his pupils being Muhammad Iqbal. When he left India, Iqbal followed him. In England, Prof. Arnold was received with open arms at Cambridge University, and Kind George V knighted him for his services to the world of learning. Pro. 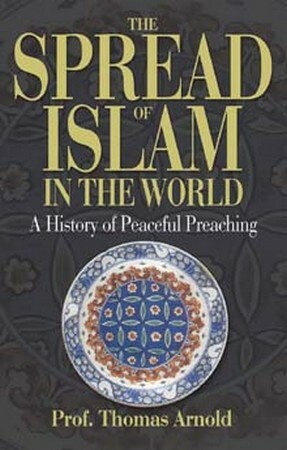 Arnol's magnum opus, The Spread of Islam in the World- a subject few have broached to this day- gives an authorative history of the expansion of Islam through peaceful preaching, and missionary activity.